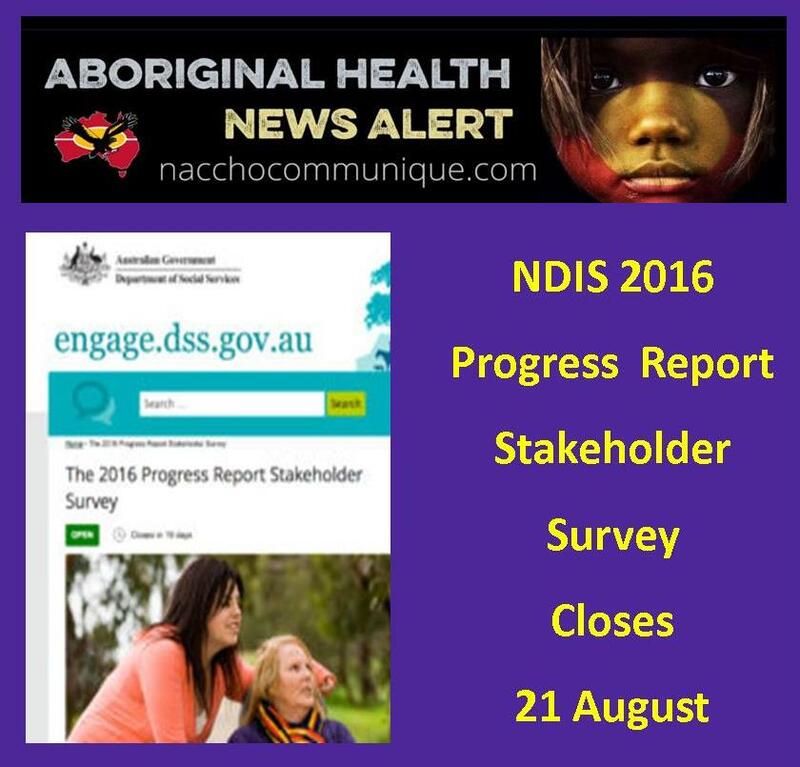 NACCHO Aboriginal Health and #Disability : Can #NDIS Agency Actions Improve #Indigenous Participant Experience ? ” Participants by Indigenous and CALD status : The number of NDIS participants who identify as Aboriginal and Torres Strait Islander is broadly in line with estimates of disability prevalence for Aboriginal and Torres Strait Islander Australians. Aboriginal and Torres Strait Islander people represent 3 per cent of the population (ABS 2017a), and estimates of disability prevalence range from between 1.5 to 2 times the prevalence of the non-Indigenous population (ABS 2016a, 2016b; AIHW 2016). 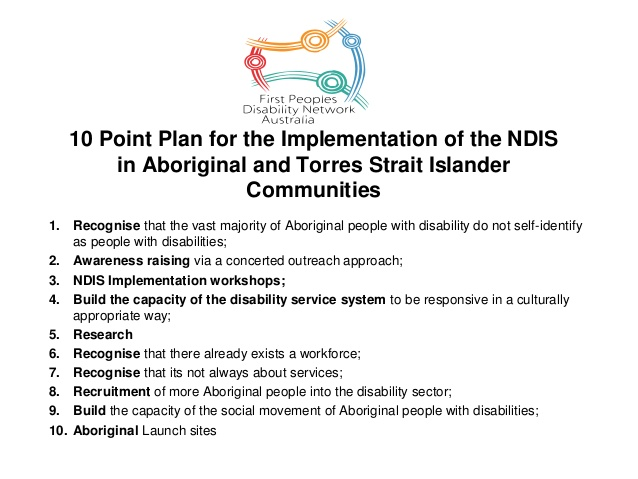 The NDIS data indicate that about 5 per cent of NDIS participants identify as Aboriginal and Torres Strait Islander. 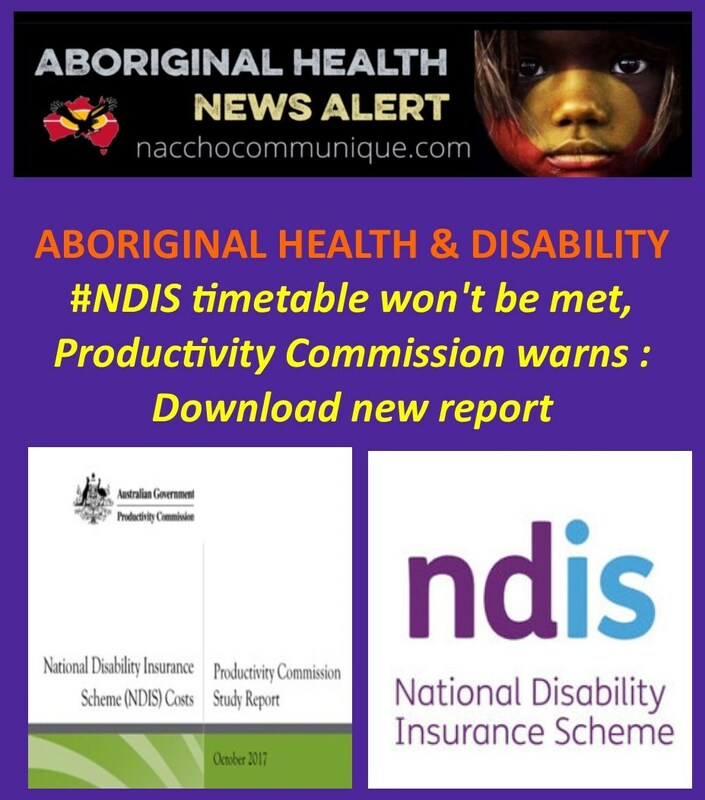 However, some caution is warranted as it is not clear how the rollout schedule has influenced the number of Aboriginal and Torres Strait Islander participants in the scheme and there are some factors that may make it difficult for the NDIS to engage with Aboriginal and Torres Strait Islander people (many Aboriginal and Torres Strait Islander people with disability are reluctant to identify as people with disability and have only had a limited interaction with the disability service system (FPDN 2016)). ” It is [also] anticipated that the capacity for outreach will be significantly diminished due to the NDIS pricing structure. The most marginalised and vulnerable groups (eg homeless, CALD [culturally and linguistically diverse] communities, young people, Aboriginal and Torres Strait Islanders), and those who are particularly unwell, often need assertive and active outreach to engage. 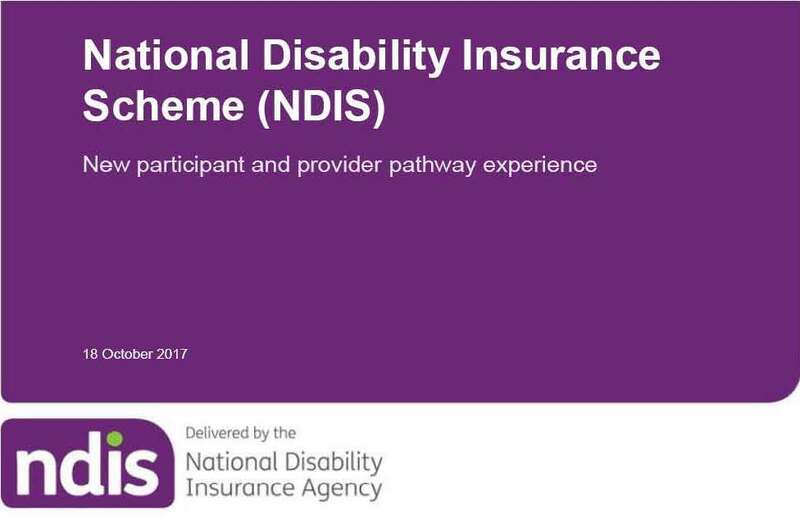 1) Are any of your members approved providers of disability services under the NDIS? What services do they provide? 2) What is your members’ experience of accessing the NDIS, both as providers and assisting potential participants? What works, and what needs improving? 3) What accessible and culturally appropriate resources and documents are available for ACCHS and participants seeking to access the NDIS? Have you developed any resources for your members that you would be willing to share with the network? 4) If insufficient resources exist, would you be willing to lead a network collaboration to develop some? 5) What other assistance can NACCHO and affiliates provide in supporting ACCHS to access NDIS funding? ” Thin markets need more attention .When creating a new market for disability supports, there is a risk that, in some areas, or for some types of supports, the market (the number of providers or participants) will be too small to support the competitive provision of services (‘thin market’). Thin markets are not new — they have been, and will continue to be, a persistent feature of the disability support sector.  have an acute and immediate need (crisis care and accommodation). The federal government will not meet its target of 475,000 national disability insurance scheme participants by 2019-20, and is failing to grow the disability workforce fast enough to meet the looming demand, the Productivity Commission has warned. The commission releases its report on the costs of the $22bn NDIS on Thursday, and offers a bleak assessment of its chances of meeting the tight deadlines set out in a series of bilateral agreements between the commonwealth and the states and territories. About 100,000 people have already been signed up but the government must develop support plans for at least 475,000 by 2019-20. To meet that deadline, the NDIS – the biggest social reform since Medicare – is being implemented at a dizzying speed. Advocates have long voiced concerns that the pace of the rollout is compromising decision making and leaving people with a disability with inadequate support packages. Those fears were confirmed by the Productivity Commission’s report, which said the “[National Disability Insurance Agency’s] focus on participant intake has compromised the quality of plans and participant outcomes”. “Quality plans are critical, not only for participant outcomes but also for sending the right signals to providers about demand for supports and containing long-term costs of the scheme,” the Productivity Commission said. The report described the pace of change brought by the NDIS as “unprecedented”, and warned meeting the intake targets would require the approval of hundreds of plans a day, and the review of hundreds more. In the final year of the transition, it would require the approval of 500 plans – each complex and tailored to the needs of the individual – every day. The timetable would be pushed out by at least a year, the report warned, or possibly longer, if the rollout continues to fall behind. The commission also recommended that states and territories increase their funding to the scheme by 4% from 2019-20, rather than 3.5%. The growth of the disability workforce was found to be “way too slow”. At full operation, the scheme will require 70,000 additional disability support care workers. That means one in every five jobs created now need to be in the disability sector. The Productivity Commission recommended the looming shortages be addressed by a targeted approach to skilled migration, intervention in thin markets, and independent price monitoring and regulation. The report also urged for state and territory funding to be restored to disability advocacy groups. Advocacy groups fight for the rights and interests of people with a disability and their carers, families and providers, a service particularly important during the complex and confusing NDIS transition. But in NSW alone, 50 groups are facing closure as the state pulls funding and puts the onus on the NDIS and Commonwealth to replace it. “As advocacy remains important over the transition period, the commission recommends that funding be restored by jurisdictions that have ceased or reduced funding, and data collection and evaluation of disability advocacy be increased,” the report said. But the overall message of the report was positive. The NDIS, if implemented well, would greatly improve the lives of people with a disability, it found. The support for the scheme was described as “overwhelming” and “extraordinary”. The costs were broadly in line with what was expected, although that was largely because not all supports were being used by participants. The report called for greater attention on the pre-planning and planning phases of the NDIS, which help determine what supports an individual is eligible for and for how long. It comes just a day after the NDIA announced an overhaul of the way it interacts with people with a disability, promising more face-to-face planning conversations, and simpler and clearer communications. The NDIA chief executive, Robert De Luca, conceded there had been flaws in the early implementation of the scheme, which were being learned from and addressed. “What we’ve heard through the process is that the phone conversation hasn’t always been as engaging as it could have been in a face-to-face environment,” De Luca told Guardian Australia. ” By any measure Aboriginal and Torres Strait Islander people with disability are amongst some of the most disadvantaged Australians; often facing multiple barriers to meaningful participation within their own communities and the wider community. The DSS need to improve under the National Disability Strategy. We want to hear your thoughts about disability policy in Australia! Are you a person with disability, a family member, a carer, or are you just interested in the rights of people with disability? Tell us what you think about the lives of people with disability in Australia. This may include questions about things like health care, employment and access to the local community for people with disability. Answer this survey and tell us how things have improved in the last two years. This feedback will help us understand what areas need to improve under the National Disability Strategy. The National Disability Strategy 2010-2020 (the Strategy) helps us to create better policies, programs and communities so people with disability are able to lead happy and fulfilling lives. What will my feedback be used for? Your feedback will help inform the 2016 Progress Report. Reporting is an important part of the Strategy. Every two years we develop a progress report that looks at the achievements of the Strategy. An important part of the report is finding out what people with disability, their families and carers think. We also work with other government agencies and state and territory governments to collect feedback and data to help inform the 2016 Progress Report. The survey can be completed online via the 2016 Progress Report Stakeholder Survey page. 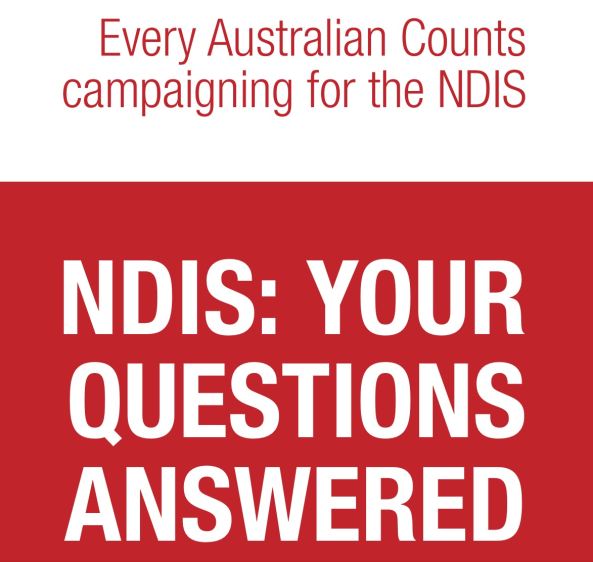 If you would like a hard copy of the survey to complete, please email nationaldisabilityst@dss.gov.au or ring (02) 6146 2507. Please note: Requests for a hard copy of the survey must be made by 4 August 2017. When will the survey open/close?